Wanda, who is known by many as Wepa Woman (more on this later), shared her journey from neighborhood outcast to artist known around the world. The two personas are almost symbiotic in Wanda’s humanity. She felt like an outsider in her Bronx community because she didn’t hang out on the block and didn’t usually speak slang. Being something other than what she assumes was the “norm” amongst her peers, she became known as “a book worm/nerd/new wave chick.” The stigma stuck all the way to high school. She remained a foreigner as “the artsy girl from the hood” in a highly competitive NYC arts school where even today almost half of the student body is classified as white. This origin story gave Wanda much material for her work. In a spoken word piece she conceived years later, she describes herself as rare and misplaced in her hood but rough and on the outskirts out of her hood. 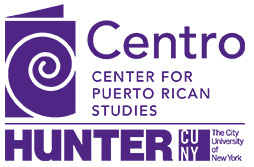 She’s lived in an in-between that is not so unfamiliar to other Puerto Ricans and other Latinos who exist in this space that has been captured in Nuyorican poetry and by academics such as Juan Flores. Wanda came into her own when she found other creative kids in her neighborhood, “like me, [they] stood out. That's where I found my safe space.” That sense of belonging enhanced the artistic gift that Wanda says she always had. As a child, Wanda was always found drawing, and with the support of her family, she confidently continued to draw and draw closer to the consciousness that today allows her to use her art as a tool for evaluating herself and everything around her. One of those efforts became the series she is best known for—Wepa Woman. The mural series is set on the (mis)adventures of a Puerto Rican super heroine motivated with sustaining the “moral code” of the Puerto Rican community. In one of the pieces, a comic art painting covering an entire wall, Wepa Woman defies machista inclinations by teaching a lesson to a street hoodlum who disrespects her for rejecting his advances. He introduces himself to the heroine with a “Ma let me holla at ya…,” which she dismisses by telling him to “stimulate a woman’s mind.” Maybe it’s that she spoke back to him. Maybe it’s that he wasn’t used to getting what he wanted but the scorned man had no other words but a few curses in response. With a quick 1, 2 combo of sazón and achiote, Wepa Woman leaves the thug repeatedly writing, “I will respect women” on a wall like Bart in the opening credits of The Simpsons. In a theme that comes up in many of her works, Wepa Woman consistently challenges the accepted relations and interactions between men and women and cultural norms. Wanda’s work reads like her every day experiences. “I firmly believe that it is important to work from a place that you know intimately and that you are passionate about,” she says. “Imagine a pressure cooker...the things I struggle with are the things that make it into the studio. That pressure to understand or resolve is where I draw inspiration.” Through her inspirations, Wanda fulfills on her commitment to exalting her people today and also yesterday. She honors her roots in some of her works by portraying the sacrifice and resilience of those who came before. She feels the responsibility to not let that history go to waste like when she asks, “Am I to forget how I came to be?” but struggles when she feels obligated to have to prove her Puerto Ricanness. In her spoken word piece “100 Blocks” she has to affirm “si soy Boricua” with elongated pronunciation of vowels and accents after a bodeguero gives her a confused looked when she asks if he carries soy milk. This theme of exposing the unseen shines bright in her most recent work, Reinas. Both a performance and a series of photographs, Reinas provides a new outlet for Wanda to expose and explore her personal fears and anxieties. Suited up as a “Warrior Queen,” and sometimes as a porcelain doll, the majestic prototypes she creates represent her internal psyche. In one photograph, the Warrior Queen is alone in the woods charging forward with a protective shield although there is no visible threat. She has also performed as a pregnant porcelain doll at the Museum of Contemporary Art North Miami. In bubble wrap, she was taken care of by women who on their hands and knees served her food and even bowed to her. The series depicts her efforts to comprehend the qualms of her mind and her attempts to respect their existence. Hero Image from the Reinas Series by the artist.